The time has come! 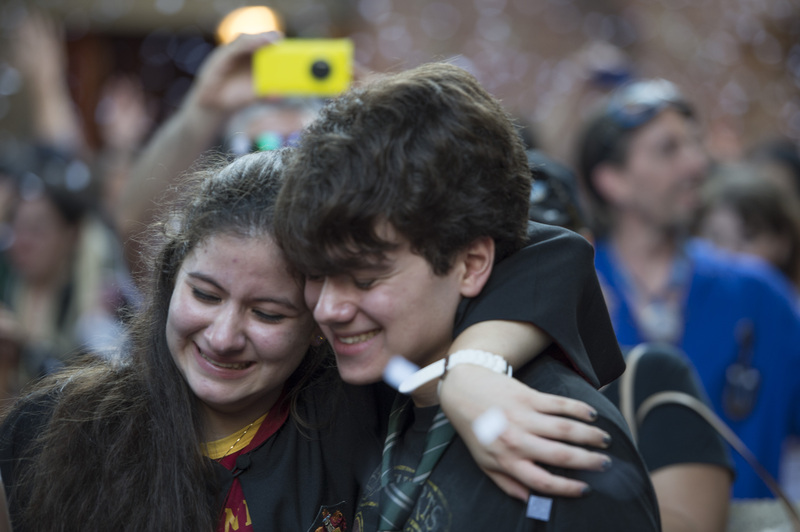 Muggles from far and wide are lining up as we speak for their chance to be part of one of the greatest theme park expansions in history. 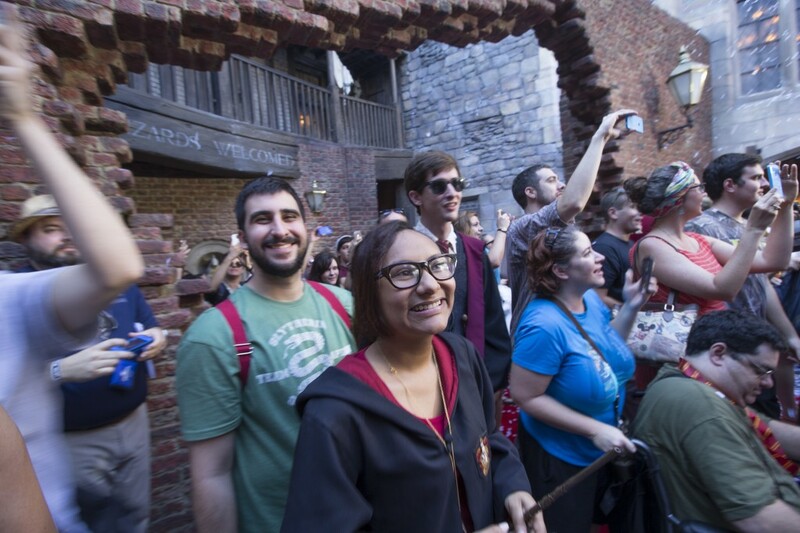 The Wizarding World of Harry Potter-Diagon Alley opens today at Universal Studios Florida, and as of 5 a.m. people have been waiting in line for their first trip, or a look at something special. 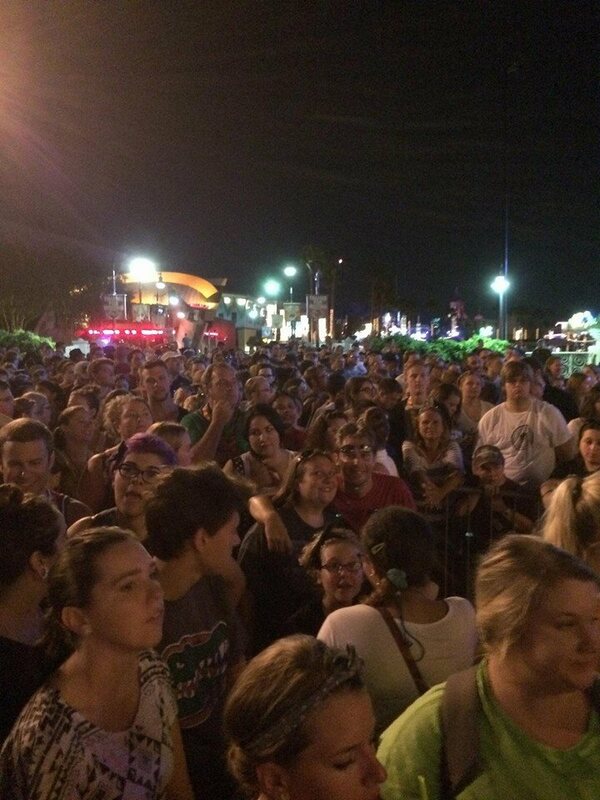 Crowds lined the streets as early as 3 a.m. for their first glimpse of Diagon Alley at Universal Studios Florida. The all new area has been under technical rehearsals, and opened briefly to media for previews earlier this month. The reviews have all been the same…flat out amazing. 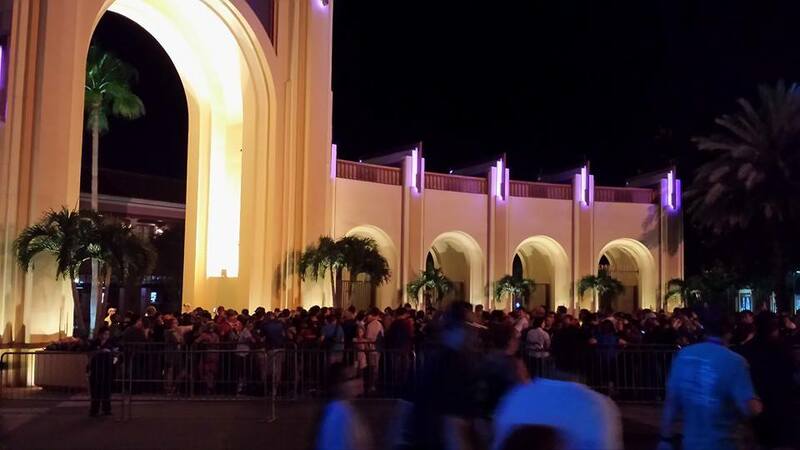 Universal allowed guests to enter parking garages bas early as 5 a.m. and allowed crowds to start entering the gates just before 6 a.m. 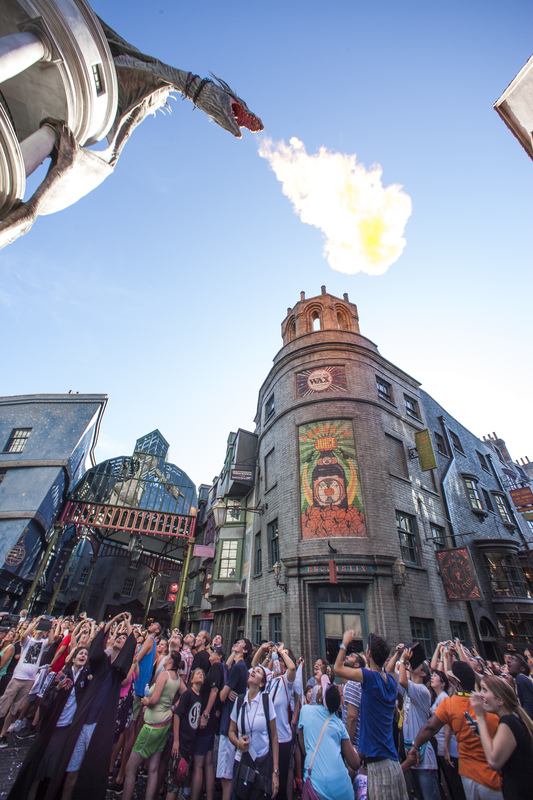 The Wizarding World of Harry Potter – Diagon Alley marks the completion of a story that spans two parks. 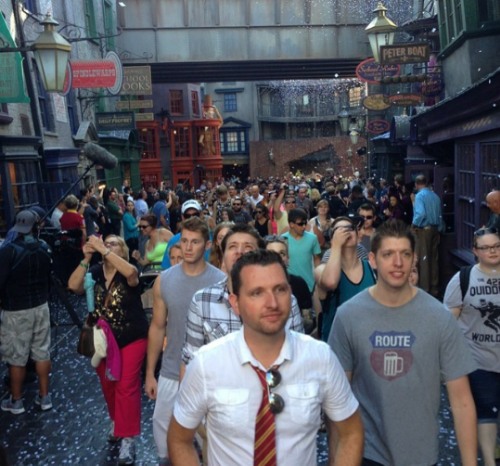 The story began in 2010 with the opening of Hogsmeade Village at Universal’s Islands of Adventure. That story was continued with Diagon Alley amd the Hogwarts Express. The revolutionary new attraction links the two parks by train, and a magical journey featuring characters and places from the Harry Potter films and books. Guests who wish to ride the Hogwarts Express need a two park ticket or annual pass to ride, which is a genius move on Universal’s part to drive ticket sales. As guests entered Diagon Alley, the look of awe becomes immediate as the new area completely immerses guests in a world with no outside influence. The first guests today were showered with confetti and an explosion of fireworks that marked the grand opening. 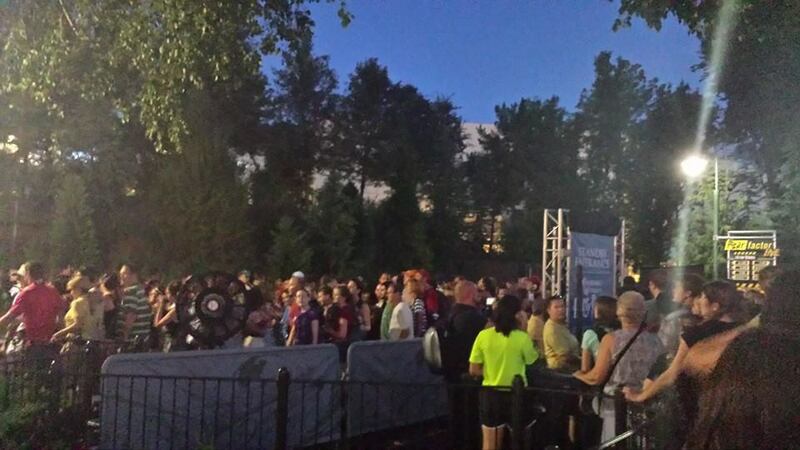 Video-Watch the grand opening of Diagon Alley at Universal Studios Florida! The new area features dozens of shops, restaurants and street performers and shows, all themed to actual places and items featured in the Harry Potter books and films. 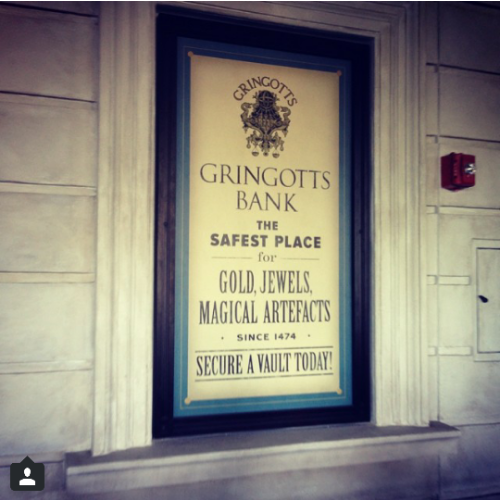 The signature new attraction for the area, Escape from Gringotts is now officially open as well. 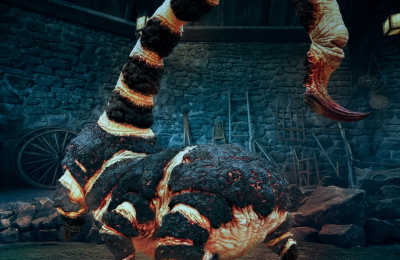 The new ride mixes a mild roller coaster, with state of the art 4k 3D and set pieces to create a mildly thrilling rise for all ages. 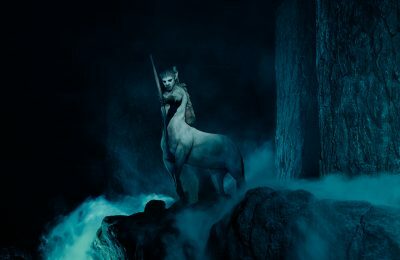 Universal has truly created an all new world taken directly from the Universe of Harry Potter, and made it a living breathing entity. Everything in the area is so beautifully designed and richly detailed that it will set a new standard for theme park innovation. The family aspect of the area is also second to none, truly offering something for those of all ages. The Hogwarts Express is perfect for kids from the ages of 2 to 102, as it’s a gentle and non threatening attraction that really captures the spirit of the books and films. We simply can’t say enough about the all new area, except that it’s something that you need to experience for yourself. Stay tuned for more from Diagon Alley, as we bring you every aspect of the all new Wizarding World of Harry Potter-Diagon Alley. 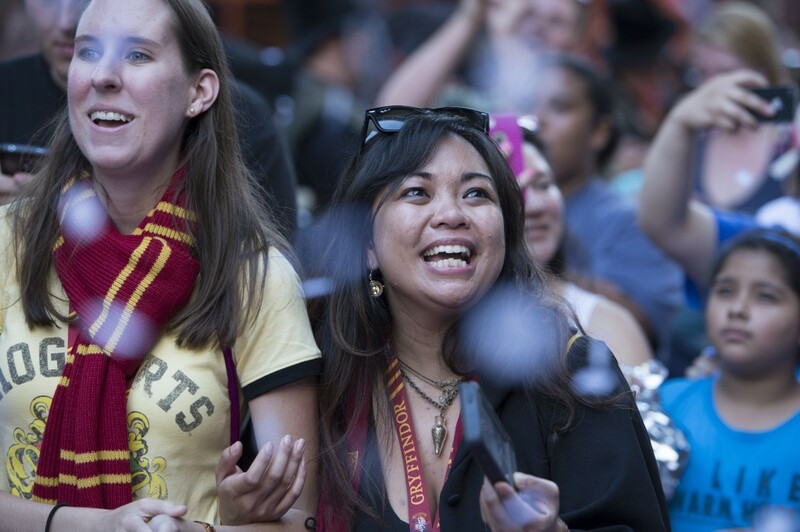 For more from the Diagon Alley Preview, click here! Get social with us on Facebook and be sure to follow along with us on Twitter @BehindThrills for the latest updates! 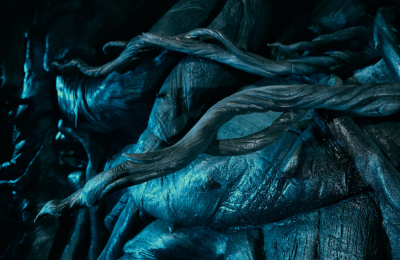 For more information about The Wizarding World of Harry Potter-Diagon Alley, including tickets, visit the official Universal Orlando website by clicking here!